The second in the Hampstead Murders series opens with a sudden death at an iconic local venue, which some of the team believe may be connected with an unsolved murder featuring Cold War betrayals worthy of George Smiley. It soon emerges that none other than Agatha Christie herself may be the key witness who is able to provide the missing link. As with its bestselling predecessor, Death in Profile, the book develops the lives and loves of the team at ‘Hampstead Nick’. While the next phase of a complicated love triangle plays itself out, the protagonists, struggling to crack not one but two apparently insoluble murders, face issues of national security in working alongside Special Branch. On one level a classic whodunit, this quirky and intelligent read harks back not only to the world of Agatha Christie, but also to the Cold War thrillers of John Le Carre, making it a worthy successor to Death in Profile which was dubbed ‘a love letter to the detective novel’. What wonderful reading this novel is where I felt I was transported into some sort of time warp with all the mod cons of todays police investigations at hand but with the air of quirky sayings, attitudes and regular references to icons from a time gone by and it all seemed quite contagious amongst the ranks. If you are looking for blood and gore this novel probably won’t be for you, what you do get is a darn good old fashioned murder mystery novel that focuses on the who, what and why. A puzzle to solve, well two actually. After a man is murdered while cataloguing items for a museum exhibition it is thought that it may be quite an easy case to solve but this is quickly followed by a second corpse turning up on a building renovation site and he has been dead years. But can there really be a link with about 70 years in between the two and with a very different method of killing them? This is the sort of case that could make or break someone’s career so will anyone be up for the challenge? I really enjoyed this book where I got to know not only how the team worked together but the personal side of them too. There is a quite complicated situation going on which I was quite, oh wow really, this is an usual set up! I must say that I am not only looking forward to the next novel in the series for a further mystery for the team to solve but also to see how this set up is working out, Will they Won’t they? . I wish to thank Urbane Publishers for inviting me to read this book which I have chosen to review. It has been a real pleasure thank you. I would say in all honesty that I would recommend this book for a more mature reader who I feel will enjoy the writing style and references more, but that is just my opinion of course. 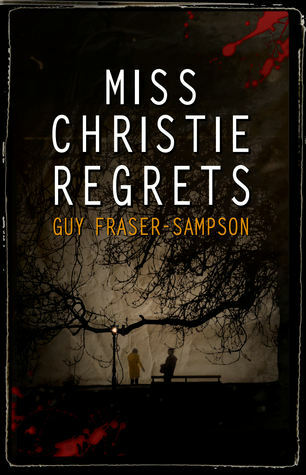 Guy Fraser-Sampson is an established writer best known for his series of ‘Mapp and Lucia’ novels which have been featured on BBC Radio 4 and optioned by BBC television. Originally a corporate lawyer, he currently teaches at Cass Business School and acts as a board advisor to high growth companies.